We made it to the weekend!! 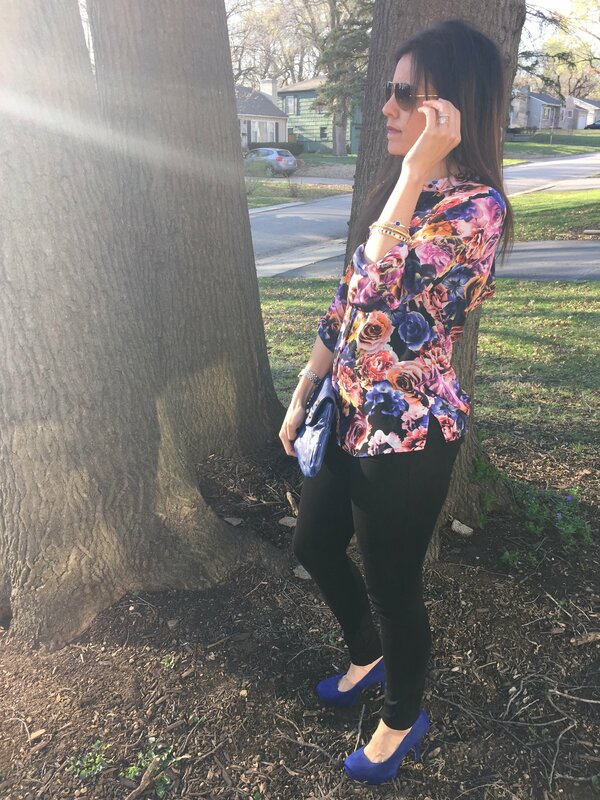 On Fridays I love nothing more than an outfit that can transition from day to nigh, but it has to be an easy transitiont. The weather has been a bit moody this week. 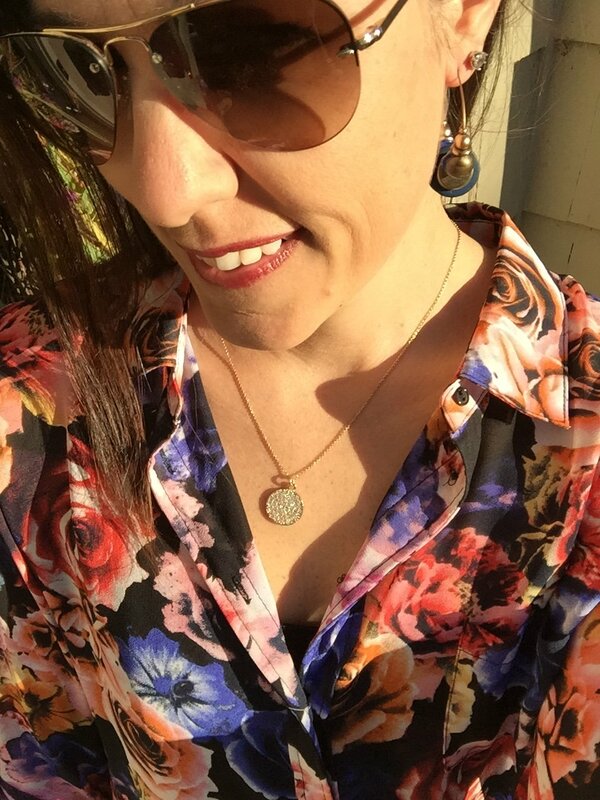 The warm sunny days, off and on thunderstorms and cool sunny breezes. 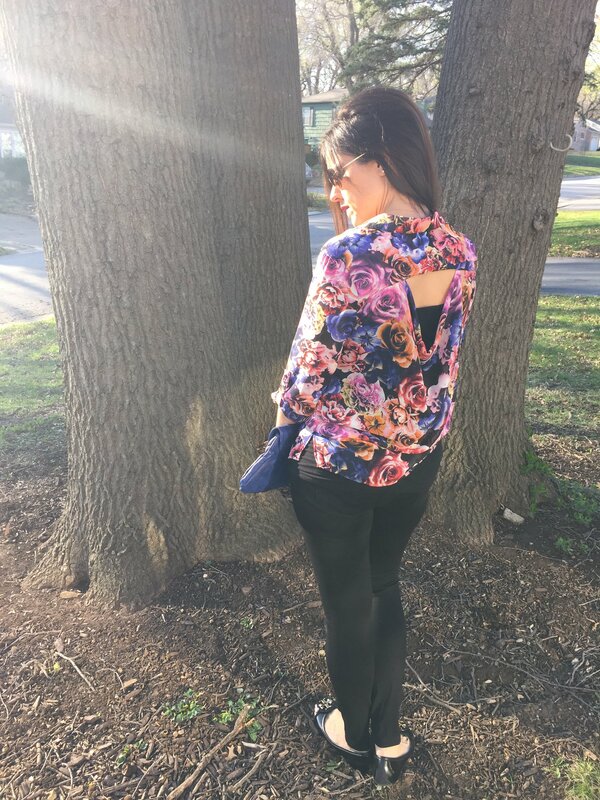 So, I thought I’d match it with this dark, moody floral blouse with a peek-a-boo opening in the back. 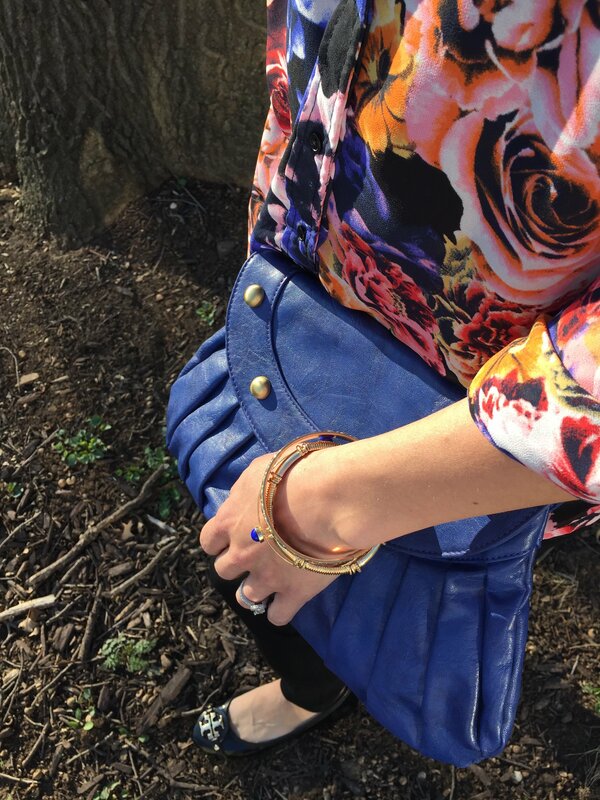 While running errands during the day pair it with flats, simple jewelry and a blue clutch. 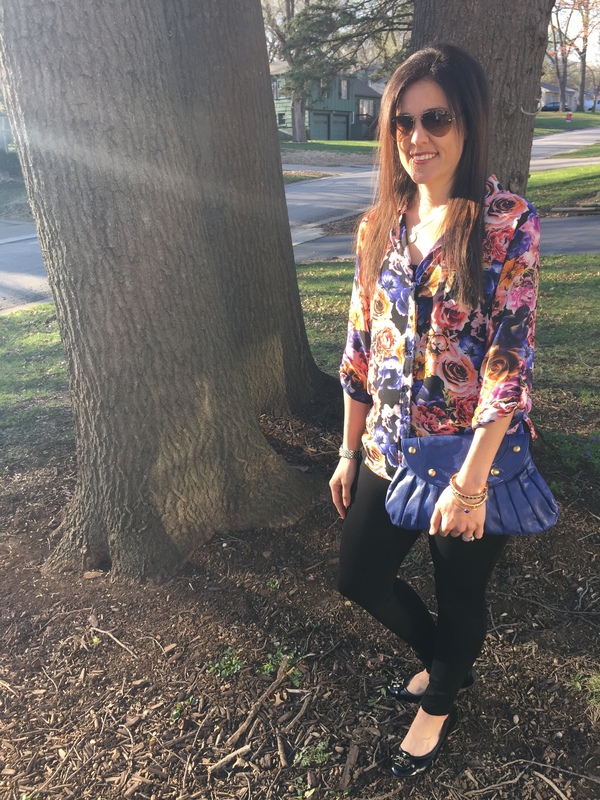 I love a larger clutch because I can toss in the things I need, but it’s also easy to throw in the diaper bag for fewer things to carry, BONUS! To transition this outfit for a night out mix up a few pieces and you’ll be ready. 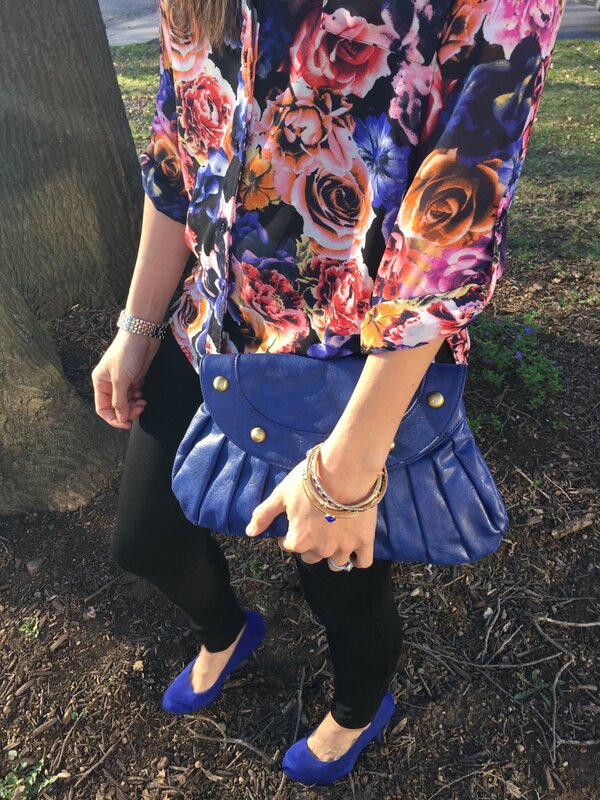 I jazzed this moody floral top with my blue suede pumps. Yep I immediately think of that song…Blue Suede Shoes, HaHaHa!! Anyway, that’s it. So easy right?!? Cute, friend!!! Love your shirt! !